Blackpool aluminium shop fronts and door repairs. 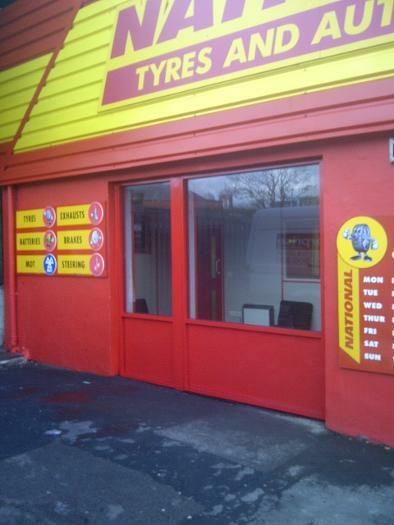 Mane install aluminium shop fronts and carry out repairs to aluminium doors throughout the Blackpool area, also covering Fleetwood and Lytham St Annes. Aluminium has high anti corrosive properties, is very strong, light in weight and is very easy to maintain meaning that your new shop front will not only last for many years but will also make your shop look clean and stylish. All of our aluminium shop fronts in Blackpool come powder coated to any ral colour, powder coating gives a clean finish and will not start to peel of like normal paint. Mane can replace shop front doors in Blackpool, we can put a new door in to existing framework to save you the cost of replacing the whole shop front, the new shop front doors come with a door closer mechanism and come either with a full piece of glass or the shop front door can have a rail in the middle. The glass can either be single glazed or double glazed, please contact us today for a free quotation for a shop front door in Blackpool. 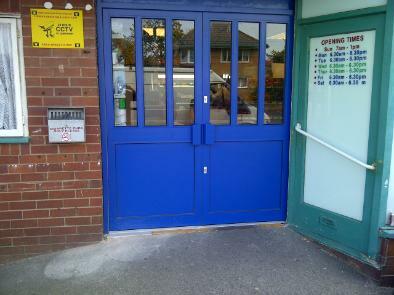 Mane carry out repairs to shop front door closers, floor springs, locks and can replace glass. All repairs on aluminium doors or glass doors in Blackpool can be quoted for either by telephone or email so let us know what the fault with the door is and we will give you a quotation on getting it fixed. All of our shop front door repairs come with a standard 2 year guarantee on parts replaced and are available 7 days a week so if your door is slamming shut, catching on the floor, wont close fully or has a faulty lock please get in touch for a free quote in the Blackpool area. Please contact us on 01772980049 or Email neil@manedoors.com we look forward to hearing from you.